You can now register for pre order Here. Please note that the Signature Edition is exclusive to BIG Chief and will be available via their website only at the UK price stated. We do not know if they intend to ship abroad. 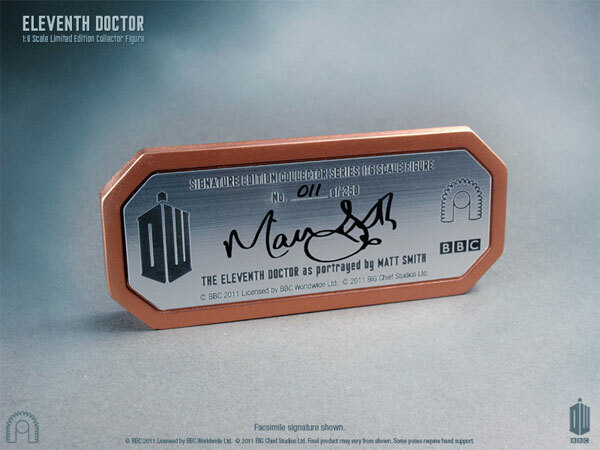 We are proud to announce an exclusive Signature Edition of our Eleventh Doctor figure signed by Matt Smith. 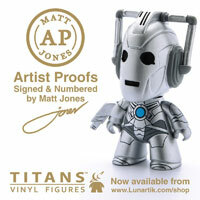 Available in a strictly limited edition of only 250 pieces, each figure will come with a hand-signed autograph plaque, display stand and a certificate of authenticity. Register today for Priority Pre-order Notification. Stock is limited and will be allocated on a first come, first served basis. Maximum 2 pieces per person. A charitable donation of £5.00 per figure is being donated by BIG Chief Studios to BBC Children in Need. Sporting a tweed jacket and cool bow tie, the Eleventh Doctor and his companions Amy Pond and her husband Rory Pond, travel through time and space aboard the TARDIS. 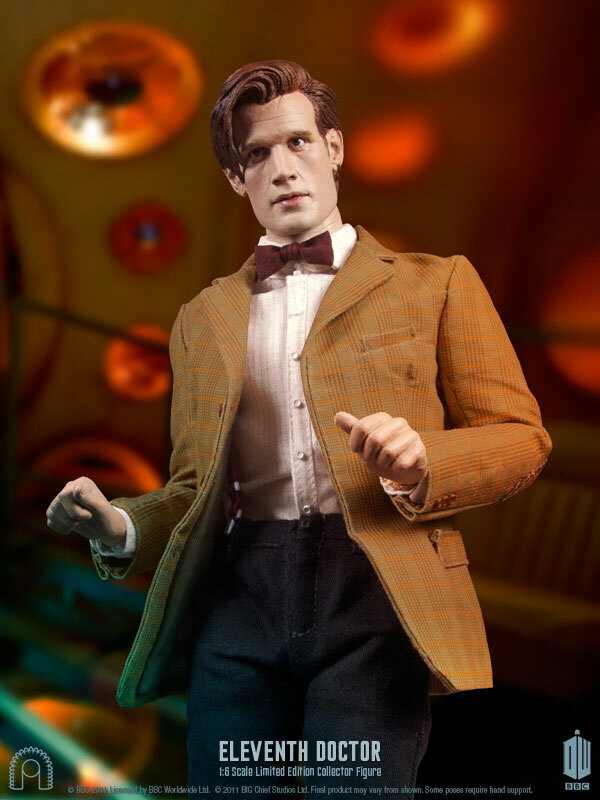 Sometimes dangerous, often life-threatening, but always exciting, the adventures of the Doctor and his companions are celebrated with the release of the Limited Edition 1:6 Scale Collector Series Figures from BIG Chief Studios Ltd.
Our artists meticulously studied comprehensive reference materials to develop the most accurately scaled collector’s figure. 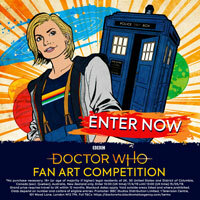 First creating a realistic and authentic character portrait of the Eleventh Doctor as portrayed by actor Matt Smith and replicating the Time Lord’s trademark costume and signature accessories in exacting detail. 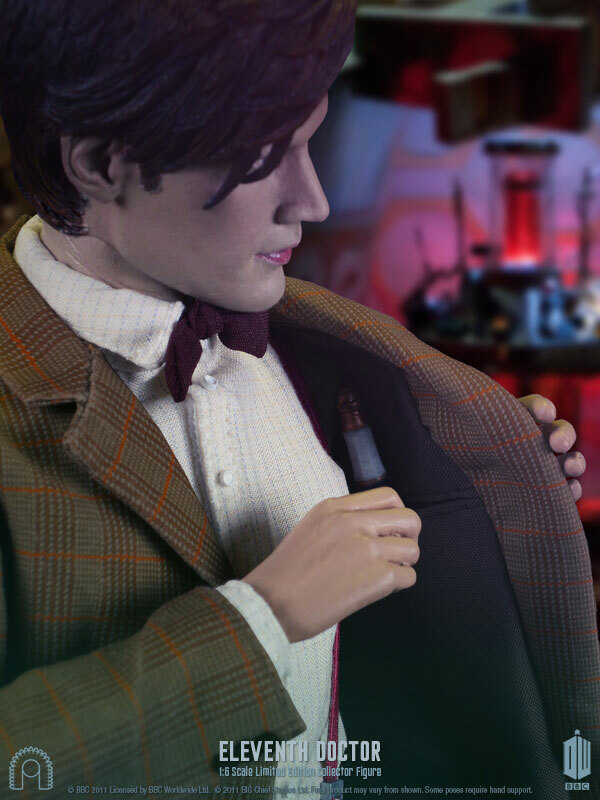 Officially licensed and authorised by BBC Worldwide, includes authentic character portrait, beautifully hand-tailored costume, signature accessories and a deluxe display base. is the redford films one hand signed? I know it’s supposed to be shipped at the end of this month, but is there a date yet for when they’re shipped? FP have it listed for the 30th, so the very end of April. That may well be a placeholder… BC have been very quiet these last few weeks. o_O They haven’t been updating their facebook page for example… it could mean they’re very busy getting ready to ship these out by the end of April, or it could mean there’s been a delay but there isn’t enough info yet to noitify anyone. Is it still supposed to come out today or is it in the summer? Is there an exact date yet when they’re going to be shipped? Yeah, so have i. Can’t wait to get it. One website now says its going to be the 25th of July. 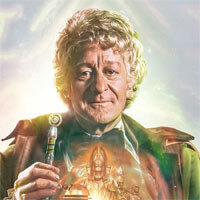 Would be nice to be told when its officially released! booboo is it really autographed by matt smith on 250 plaques, i mean that would take matt a while sat there writing on those, also i plan to get this for christmas (im gonna ask for money from my whole famly and my mum and dad) so i should have enough also ill have the money i make on the projected angel) what do you think booboo? is it worth it, i know its exspensive but still look at the detail and all the accesories. 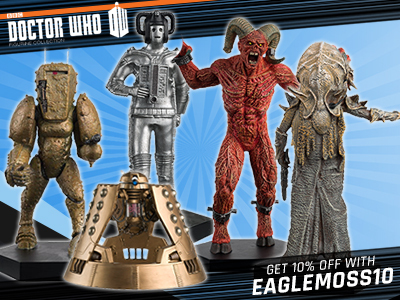 😳 I meant rory as a small 5 inch figure and the price could be like those other doctor who 12 inch figures. They are similiar but with less accesories. 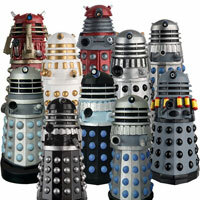 BooBoo is this the same as the normal 1 and will it come to Australia ps do u no any places in Australia where u canget the gennisis daleks from doomsday? These are currently not licensed for sale in Australia. Bit to expensive. £30 yeah but over 100 then they may not sell so well. 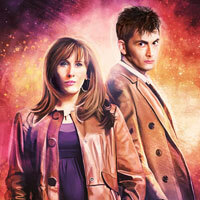 But why cant they make rory as a figure? they’re making river and amy 2. and this figure is limited edition. they also have permission to make monsters, aliens and figures from the classic series. You can try ordering anything on that list from a good comic/collector’s store. 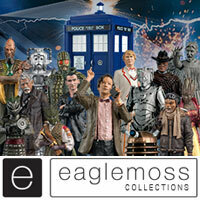 ABCShop also stock/order a range of action figures. thanks for that ucan u order of ikon collectibles? Ikon are a distributer, so only businesses can order from them directly. You have to get a stockist to order what you want. Yes. You look at Ikon to see what’s available in Australia. You can then ask your comic store to order what you want. If it’s not listed on Ikon, you can’t buy it in Australia. (Unless you go to eBay or a store that imports). 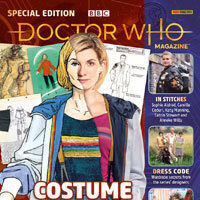 http://www.combom.co.uk/2011/08/big-chief-studios-limited-rose-tyler.html shame they didnt release it…. Anyway booboo will you be getting the singed version,the normal version or not at all? what 100and something blimey thATS WAY OFF BUT I CANT GET IT IS IT WAY OUT ME POCKET MONEY ? booboo it says register for pre order what does that mean? does it mean like you register and then big chief decides if you get one, or something. So is there a non-signed version as well or is it just this version? 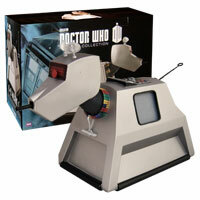 Im sure Rory Williams will be the coolest I will buy him when he comes out and maybe Amy. Argh… should have known this would be limited edition. So… the question is, will they ship internationally? If I miss out on one of these, I’m not going to be happy. I think these will sell out fast. *The sig edition I mean. OH yeah that is just EPIC! 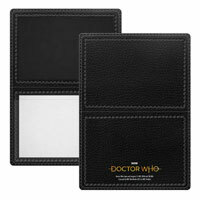 I’ll get this and defiantly the Karen one! !